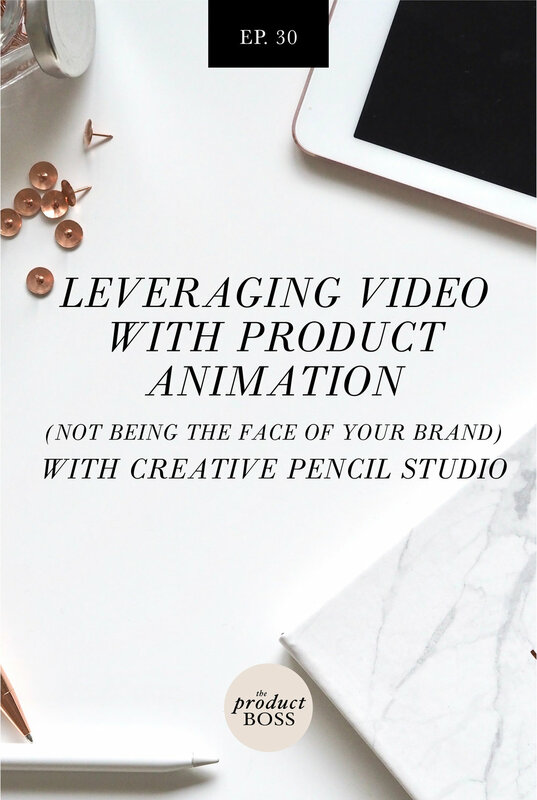 In this episode, Jacqueline and Minna interview Avanti of Creative Pencil Studio and she digs into how to leverage video as a branding tool for your business. This is a strategy all about featuring your products and features and NOT being the face of your brand. We chat about stop motion video and the process Creative Pencil Studio takes you through to ensure you get the most bang from your buck in your video investment. Avanti walks Minna through the process to get the inspiration flowing and to introduce you to the different options for your budget. Video is SO important and cannot be ignored, but intention is key. In this video mini-series, brought to you by Creative Pencil Studio, we look at the different video strategy approaches for physical product businesses to help you think about what video plan is right for you and your business growth. Creative Pencil Studio specializes in Stop Motion video and packages range from $500 - $1500+.